Kate Bulkley www.katebulkley.com MipTV: French TV embraces risk to stay relevant in digital era IBC 10th April 2019. A noticeable shift toward greater risk-taking and collaboration by French broadcasters was one of the big talking points at the MipTV programming market in Cannes this week. 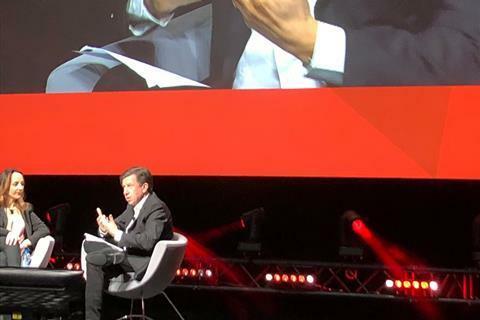 France’s top broadcasters and producers took centre stage at this year’s MipTV, stressing the need for greater risk-taking and collaboration. France is the ‘Country of Honour’ at the programme sales market, and the country’s biggest TV players were on hand to discuss how to stay relevant against the might of global tech platforms like Netflix and changing media consumption habits. Creating a scale play by growing through acquisition is still driving a lot of media company agendas in France. Indeed, the open rumour of the MipTV market was about at what price, not if, France’s Banijay Group, would seal a deal to buy production heavyweight Endemol Shine. Speaking on a panel at MipTV, Banijay chairman Stephane Courbit declined to comment on the rumour; Banijay had been in the bidding for Endemol Shine before the Black Mirror-producer’s owners 21st Century Fox (now part of Disney) and Apollo Global Management called off the sales process after failing to agree terms a few months ago. Pellison’s risk strategy includes ramping up its owned TV production, both in France and beyond, leaning into online distribution in a much bigger way and pushing local authorities to recognise that rules governing TV and film have to change if local players stand a chance of competing against the big tech platforms like Netflix, Amazon, Google and Facebook. Central to that is the joint streaming service and Netflix-rival called Salto that TF1 plans to launch together with French broadcasters France Television and M6. “There is urgency in the matter of launching Salto because everyone knows that Apple TV is coming, as is Warner Media and Disney Plus,” said Pellison, in addition to Netflix which already has five million French subscribers and Amazon which has about 2.4 million. Pellison hopes that Salto will launch before the end of this year, but the service is still awaiting approval from French competition authorities, which like regulators in the UK and Germany have been slow to recognize that collaboration by local broadcasters is key to ensuring that they can compete with the big global streamers. “I am a great believer in the TV and the way the TV media gathers audiences and is a social link between people to gather families and gather communities,” said Pellison. “If we do our job well we can express a lot of things that the internet will never do, as well as offering brand safety for our clients (advertisers) that the internet also cannot do,” he added. Meanwhile, TF1 is revamping its catchup service My TF1 as well as doubling down on its production capabilities both inside and outside of France. 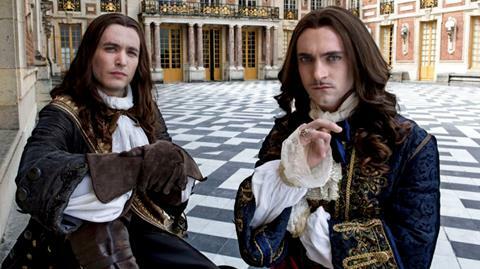 It purchased Newen, the producer of Versailles, in April 2018 and then provided the backing for Newen to acquire equity stakes in production outfits outside of France, including in Denmark, the Netherlands and most recently in Belgium with the purchase of De Mensen in February this year. “We are looking forward to a build-up, through Newen, across Europe; with Newen we are already in ten countries,” said Pellison, adding that TF1 is looking to possibly buy other production companies. This is a similar strategy that the UK’s ITV has employed to build up its ITV Studios business. TF1 invests €160m a year in TV drama and Pellison is eager to make that money work harder both in the ambition of the content and the exploitation of the rights. “We were badly affected by the drop in quality of what comes out of Hollywood,” said Pellison. “Our play in the future will really be focusing on local content.” Pellison is also steering TF1 to be savvier with how it works with global steamers like Netflix on rights and value. For example, earlier this month TF1 and Netflix agreed for the first time to pre-finance a high-profile, period drama series. Called “Le Bazar de la Charité,” it is based on a tragic fire in 1897 at a Paris charity event. 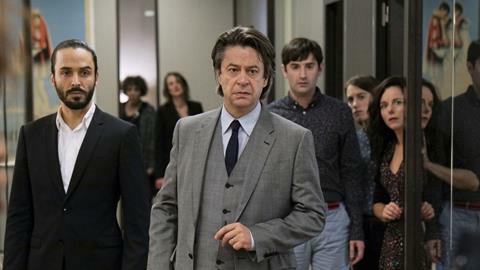 Under the deal, TF1 will premiere the programme in the second half of 2019, while Netflix will stream the series in France eight days after TF1 broadcasts the last episode. In the rest of the world, Netflix will stream the series the day after TF1 airs the last episode. “This is the positive side of globalisation that we can take advantage of because Netflix is a formidable showcase for producers that we never had in the past,” Pellison said at MipTV. Maxime Saada, CEO of Canal + Group, the biggest pay TV operator in France told MipTV that he is looking to double his 16.2 million global subscribers, but he did not elaborate on a time frame for this. “We are very small compared to Netflix which is about 150 million today around the world,” said Saada. The growth focus for Canal + is on international, including into new countries like Ethiopia, which has a population of 100 million and would be the company’s first launch in a non-French-speaking African country. In France, Vivendi-owned Canal + has more than five million subscribers (which is equivalent to Netflix’s five million French subs) but it’s a very different offer. Canal +’s average revenue per customer is €44, said Saada. Canal+’s strength, he added, is as an aggregator of quality shows across genres, rather than being “the Netflix of this or that”. Saada is open to making services like Netflix and Apple available via Canal+ platforms, something that pay TV operators in other countries have also embraced. “At one point everyone is going to go direct-to-consumer. You’re going to have 50 or 100 Netflix-lite offers, and the consumer is going to be lost in a swamp, in a sea of €5 or €10 offers. 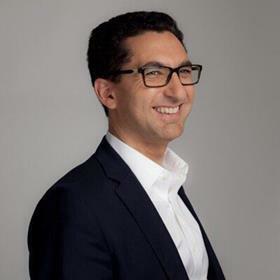 I don’t believe the consumer will take 50 of them, so in that space, I believe Canal+ aggregating in every genre will make us resilient,” said Saada. Saada also talked about how it will leverage its relationships with other Vivendi-owned companies like Universal Music (currently reportedly on the sales block) to “find talent and give voice to them,” said Saada, mentioning Lady Gaga who has crossed over from music to film acting. StudioCanal produces 30 movies a year – it’s working on Paddington 3 now - and owns eight production companies across Europe. A key part of that strategy is IP ownership, said Saada. “We believe that Europe is the only credible alternative to American culture, which is completely dominating today – even more so than a few years ago. To bring European culture to the world, we need to have some kind of ownership. When we finance 70, 80, 90 percent or even 100 percent of a drama and don’t own the rights, it is a problem,” said Saada. “I had a talk with Eddie Cue at Apple and he is ready to give me a Canal + icon on the iTunes in 100 countries but I cannot do that today because I don’t own the rights, or all the rights,” said Saada. Canal + is producing with Apple and also works with Amazon and Netflix but Saada thinks that keeping Canal + “lean” and continuing to move from a broadcast to a digital culture is key to being able to compete with the big global players on subscribers. Several other key themes emerged at MipTV. One was a growing interest in other genres beyond premium drama, sparked by the growing the cost of scripted production and talent. The key buzzwords on the Croisette beachfront walkway this week were premium factual and programmes that showcase authenticity over constructed realism. 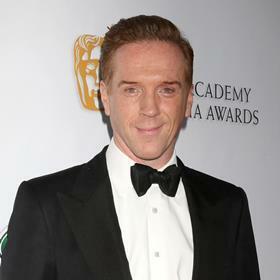 Hot properties included Damian Lewis-fronted Spy Wars from A+E; Studio Lambert’s Race Across the World; and Dancing Ledge announced a new real crime series fronted by the author of the Jack Reacher book series, called Lee Child: True Crime. At MipTV there also was a lot of discussion about whether advertising-funded video on demand is becoming a monetisable platform outside of the US where Hulu was the pioneer.“I think that with the abundance of SVoD services out there now that there is an AVoD pivot coming,” said one owner of international content. While AVoD is viewed by a lot of content providers as a “barker channel” for its SVoD services, the biggest US AVoD services, including Hulu and Pluto (recently purchased by Viacom) have announced international rollout plans and other services including TubiTv and Xumo are likely not far behind. “I think we are now seeing the hockey stick in AVoD around the potential revenues,” said an executive with a US studio group. “I think that Amazon getting into this with Freedive is helping this segment be seen more seriously.” Amazon Freedive is available on Fire TV devices and on the IMDb website and the service is modeling itself on Roku, which has generated more “platform” ad sales revenue than revenues from its streaming device sales in its most recent results. Jensen’s company runs Via Free, an AVoD service that is part of an ecosystem in Scandinavian markets that includes broadcast TV, AVoD, SVoD and radio. “To really work, AVoD needs to be a destination in its own respect not just an extension of free to air TV. We add short form content and we have YouTube influencers create content for Via Free. It’s not simply a catch-up service, said Jensen.